‘Will big bands ever come back?’ has been a perennial question on the jazz scene since the 1950s. Originally it simply expressed nostalgia for the golden years of the swing era which would, of course never return – after rock, soul, disco, funk, rap, and what have you, had taken over as the dominant dance and club music for the youth of the world. However, during the last decades the big bands made a comeback of sorts, albeit in a different function, the big band of today is no longer the backdrop for dancing and romancing, but the jazz equivalent of the symphony orchestra. It gives young musicians the chance to develop their craft, and at the same time it enables composers and arrangers to create music for a larger ensemble than the standard jazz quartet or quintet. It is precisely with that double intention that the Jazz Orchestra of the Concertgebouw was founded. In 1995, some prominent young Dutch jazz musicians approached the experienced pianist and arrange Henk Meutgeert about starting a big band. The orchestra go a biweekly Sunday evening gig at the famous Bimhuis in Amsterdam, and soon grew to national stature. In 1999 it changed its name from New Concert Big Band to Jazz Orchestra of the Concertgebouw, further proof of the esteem in which the band and its leader were held. Toots Thielemans, Jimmy Heath, Ack van Rooyen, Rita Reys, Cedar Walton, George Duke, Richard Galliano, Trijntje Oosterhuis, George Coleman, Roy Hargrove, Joe Lovano, Joe Henderson, Han Bennink, Johnny Griffin, Misha Mengelberg and Dee Dee Bridgewater. Meutgeert’s energy and creativity are matched only by his generosity, in giving his band members abundant room to contribute and perform their own compositions, as witnessed by recent JOC CDs. 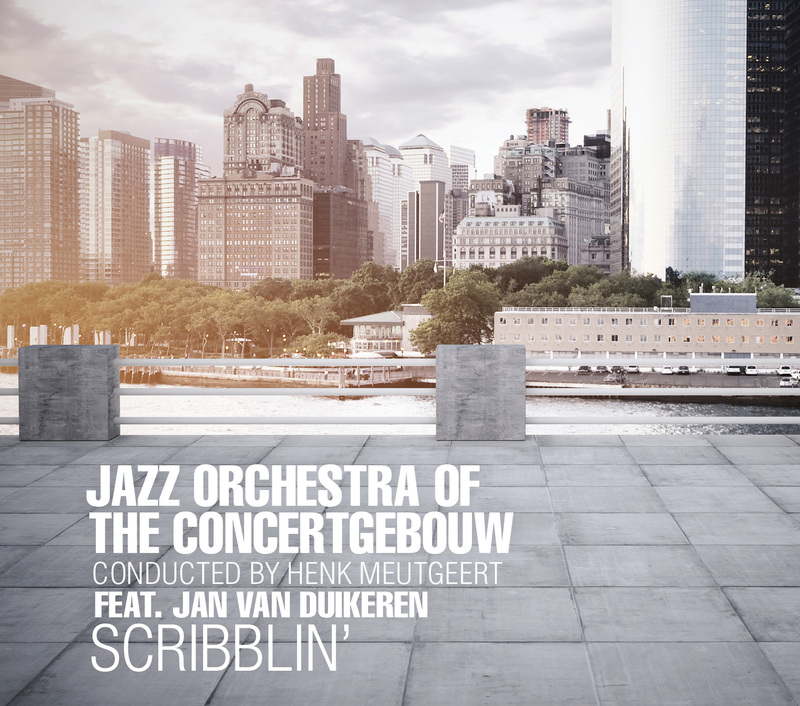 With its combination of explosive excitement and pensive romanticism, Scribblin’ will give as much joy to loves of traditional big band jazz as to forward-looking young listeners. This CD leaves no doubt: big bands have definitely come back. "Japan loves the 18 headed jazz bigband from Holland"